Leading mobile technology multinational, TECNO consolidates push for the top spot in Nigeria tablet and mini PCs market with the release of latest Droipad 7C Pro Pad device-an upgrade on predecessor Droipad 7C released last year. This elegant hybrid Pad fuses the computing ability of high-end tablets with top-of-the-line Android experience of smart phones to give end users a two-in-one Pad + Phone experience. Speaking alongside key retail partners at a media briefing recently held at the Digital Square building, 20 Awolowo road Ikeja. The Marketing Lead, TECNO tablet Business Unit Gbenga Oguntade revealed that the launch of the Droipad 7C Pro was in response to a growing demand by end users for high performance products in the tablet and pad segment. 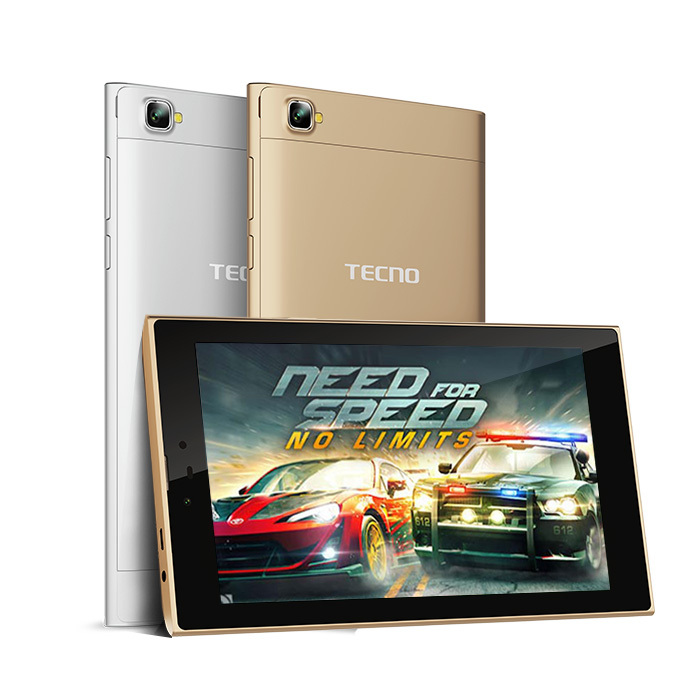 “This PAD + PHONE matches premium feel with top-of-the-line performance,” says Peter Shi, Channel Manager TECNO pad. The TECNO Channel boss said new TECNO Droipad 7C Pro comes with features that gives it an edge over predecessor Droipad 7C some of which is upgraded internal memory; 16GB ROM up from 8GB and Quad-core processor gives the Droipad 7C Pro twice more processor speed than its Dual core forerunner, the Droipad 7C. “Droipad 7C Pro comes with powerful in-built antenna technology, what this means you don’t need a headset to enjoy radio programs from your favorite dial. All you need do is just tune in and Droipad 7C Pro will do the rest,” says the TECNO pad Marketing Lead, Gbenga Oguntade. Also speaking to journalists at the launch, TECNO e-commerce partner, JUMIA reiterated commitment to delivering satisfaction to a growing customer base by bridging the gap between stock of quality products and the customers surfing the web in search of them. Other features of TECNO Droipad 7C Pro includes premium metal unibody retailed in three striking shades namely: Campaign gold, space grey and silver. Dual front and back cameras with dual LED flash and Dual SIM card slots- one standard the other microSIM. Commending the In-plane switching (IPS) display of new TECNO Droipad 7C Pro, CEO Payporte, Eyo Bassey said the device offered end users a new viewing experience. New TECNO Droipad 7C Pro will be available at all retail outlet and e-commerce platforms from next week. Also expected to launch in the first half of 2016, is TECNO’s revolutionary Phonepad product for children.